The BeoSound Essence sound system is comprised to two components – an aluminium BeoSound Essence Remote (touch controlled) and a hide-away system box. The box provides for AirPlay streaming, DLNA streaming, Spotify Connect, QPlay and thousands of global internet radio stations. The BeoSound Essence sound system can pair with any of B&O’s active speakers. And, a new BeoMusic app will make it easy to control music playback from iOS and Android devices, as well as from PC or NAS devices. It also offers the opportunity to access global internet radio stations. The BeoSound Essence System will be available spring 2014 for $1090 CDN (for a sound system consisting of a wall-mounted BeoSound Essence Remote and hide-away box). Additional BeoSound Essence Remotes will have a price of $250 CDN each. 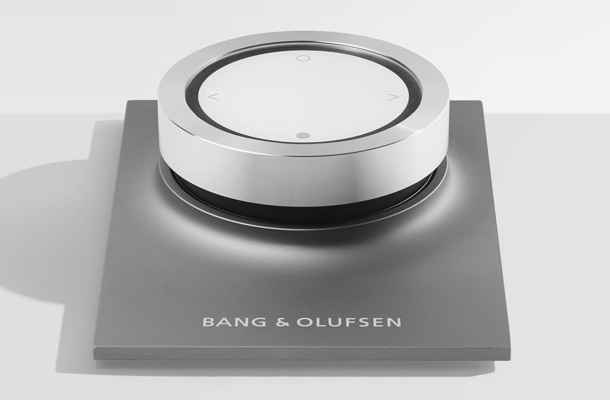 Look for more details at: http://www.bang-olufsen.ca/.